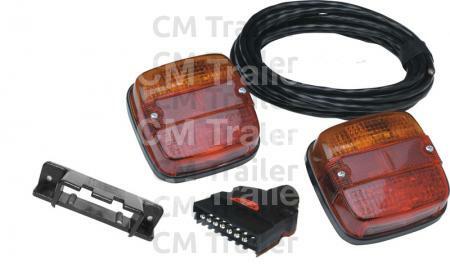 Rear stop / tail / direction indicator with licence plate option and built-in retro reflector, 12 volt. 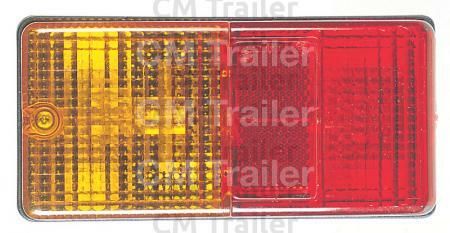 Rear stop / tail / direction indicator, built-in retro reflector, 12 volt. 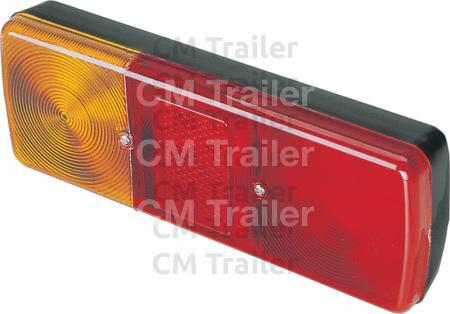 Complies with ADR 6/00 (cat 2a), 47/00, 48/00, 49/00. Rear stop/tail/direction indicator, reversing. 12 volt or 24 volt. Bulbs not included. With heavy duty metal bracket. Complies with ADR 1/00, 6/00 (cat 2a), 49/00. 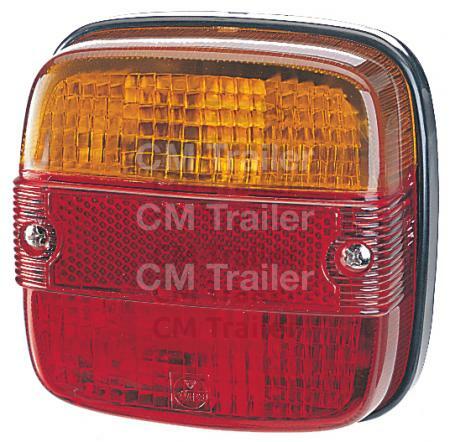 2 x 12 volt Narva 86030 tail lamps. 1 x TE17B4 7-pin flat flug. 1 x TE17B4PH plug holder. 7.5mtrs of 5 core 4.5 Amp cable.